Adjustable from 0° - 30°, locking every 10°. 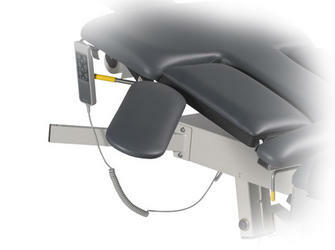 For the gamut of upper extremity vascular procedures, the optional arm board is used to support the patient’s arm and can be mounted to either side of the table. The arm board is adjustable from 0 to 130 degrees, locking every 10 degrees. It is required to perform upper extremity arterial and upper extremity venous procedures.